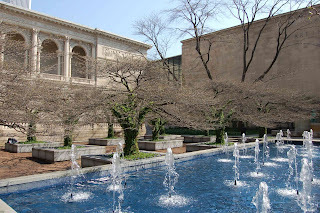 In 2006 Sidonie was awarded a ISS Institute, Pratt Foundation Fellowship to study the design and installation of Green Roofs and Vertical Gardens. The Fellowship will allow her to travel to Singapore, United States and Canada. Sidonie Carpenter , is Vice President of Green Roofs for Healthy Australian Cities. She is the key speaker at Green Roofs and Green Walls for Brisbane, a presentation over 1.5 hours at the Griffith University EcoCentre, from 6pm to 7.30pm on Monday, June 18 . America to collect latest information on green roofs and wall developments that are a sensible response to climate change. and relevant to Australia’s nascent green roof industry. Pie, Landscape Logic, Multiplex Australia, Mirvac Australia, The Plant Specialists and landscape architect Richard Jones. landscape architecture from Queensland University of Technology, and a Certificate of Urban Horticulture, she is a member of the Australian Institute of Landscape Design and Managers. I have now been home for 2 weeks. The response to my fellowship and Green Roofs in Australia has been wonderful. Brisbane City Council has been very supportive and understand the enormous environmental value and benefits of green roofs not only for the environment but also the economy on both the public and private level. A quick visit to San Francisco on my way home. 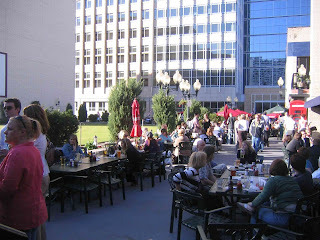 Here I had the chance to meet a Landscape Architect that I met at the conference. He is working on a project in Arizona where water, like Australia is a big issue. He was very interested to hear about Australia and the water control issues that are now a part of our everyday. To tell them that the use of a hose or irrigation in Brisbane is now banned created some amazement. I think water is an issue that the whole world is finally realising needs some serious understanding and management. 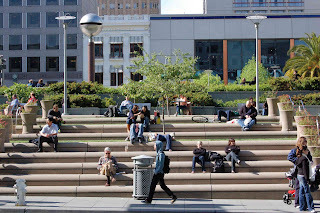 San Fransisco, like most cities in the US has a number of green roofs. 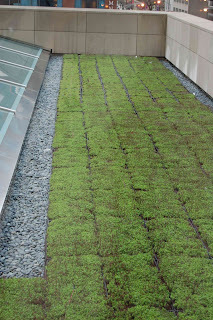 The GAP Corporation installed a green roof to qualify for their LEED rating. One of the biggest benefits was its sound proofing qualities, the GAP headquarters is right under the flight path. 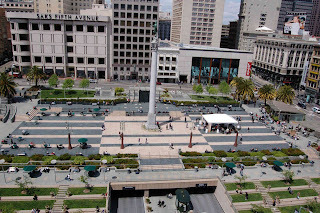 Union Square in the heart of the city is a green plaza built on top of a car park. 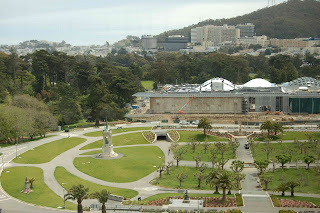 In the heart of one of the country's largest urban parks, the California Academy of Sciences is building a new LEED Platinum Green Museum in San Francisco's Golden Gate Park. Its 10 hectare, undulating green roof will sit 10.5meters in the air planted with a variety of wildflowers and other native species. Rana Creek Living Architecture has worked with Renzo Piano Building Workshop, Chong and Partners Architecture, SWA Group, ARUP Engineering, and the Academy to design a living roof that will cover 15,000 sqm of roof with four steeply sloped domes replicating the surrounding rolling hills. Two of the domes are almost 60 degree slopes. 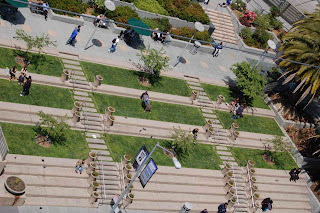 The roof will be planted with over five plant species native to San Francisco, and approximately 1.7 million plants will blanket the living roof. The three-year research period during which Rana Creek Living Architecture designed, built and monitored a series of living roof mock ups, informed this diverse assemblage of indigenous plants, as well as the soil retention and drainage techniques ultimately chosen for the project. The California Academy of Sciences is unique amongst natural history museums in its dedication to combining research and education under one roof. The next 4 days were spent attending the Green Roofs for Healthy Cities Conference. This included completing 2 design courses. 101 - An introduction to Green Roof Design and 201 -covering the design and installation of Green Roofs. 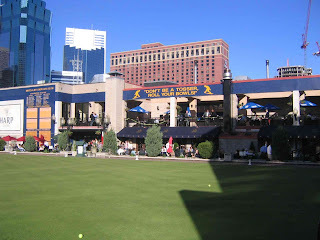 A great social event hosted by the City of Minneapolis to welcome the conference delegates was held on the green roof of the local Brits Pub. 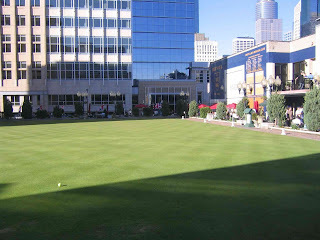 A bowling green and outdoor eating area was built over a garage to provide extra space and make the most of expensive city real estate. Design 201 Design and Implementation. 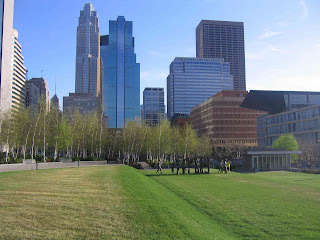 An 8 hr course written and presented by Green Roofs for Healthy Citys covering the design and implementation elements of intensive and extensive green roofs. A very worth while and interesting course that Green Roofs for Healthy Australian Cities hopes to re write for Australian conditions and offer as an introductory course for a new and exciting industry with enormous potential for a large number of industries from engineering and architecture to the water proofing and nursery industries. As the Australian delegate I attended the WGRIN meeting. This was very worth while as well as an excellent opportunity to meet other international members and extend the green roof international network. There were delegates representing Japan, NZ, France, Italy, Hungary, Germany, Canada, Mexico. In total 16 countries are affiliated. The conference program was excellent and as always it was very difficult to decide which sessions to attend. Topic subjects ranged from stromwater control and management to how green roof s have been shown to reduce stress and increase productivity as well as a number of very interesting design based case studies. A trade hall ran for the 2 days with a huge number of different manufacturing and systems suppliers/designers. The market in North America is well established and supported with a large number of different systems available. This was very interesting from the view point that at this stage, there are very few specific green roof systems available in Australia and it provided an insight into just how specific the installation can be and the industry opportunities available in Australia. An 8 hour day written and presented by Green Roofs for Healthy Cities. A great introductory course providing a very good understanding for anyone who is interested in installing a green roof. From home owners to architects, landscape architects and people from the trades. Green Roofs for Healthy Australian Cities has proposed to offer an Australian adaptation of this course. If Australia is to catch up with the progress in Green Roof technology and installation and begin to reap the huge environmental and social benefits we need to ensure there is an education program and an expected standard for the design and construction. We have a lot to learn form our international green roof friends and are in a very positive position that will see us leap frog forward in terms of being able to learn from their mistakes. We may be 10 – 15 years behind in the industry but I believe that if the Government realizes and supports the industry and the implementation of green roofs that Australia will very quickly catch up as wells as being world leaders in specific areas such as water management and food production. Australia needs to see research and development projects being implemented, creating conditions and specifications that will be specific to Australian weather patterns and vegetation species. Arriving in Minneapolis late on Saturday afternoon, I set off down Nicolette Mall, the main street in downtown Minneapolis. 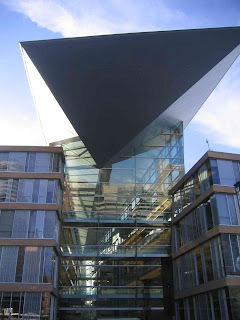 A very small city center with every building being linked with aerial walkways due to the freezing winter temperatures. You can walk around the downtown area without stepping outside! 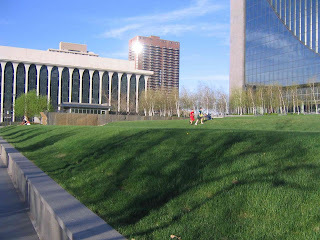 I checked out a few green roofs within walking distance of the city centre. A roof garden has been built on top of a car park for the Cancer Survivors Park. It's a great example of how green roofs can be designed to enhance the urban landscape and provide much needed open space. 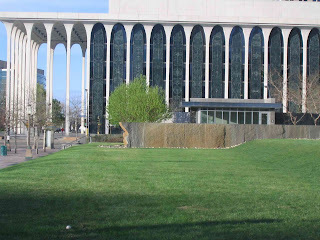 A green roof has recently been installed on the Minneapolis Public Library. 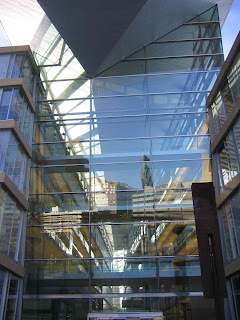 Unfortunately, I couldn't get access but the building is amazing and the green roof generates a lot of public interest and education in the benefits. 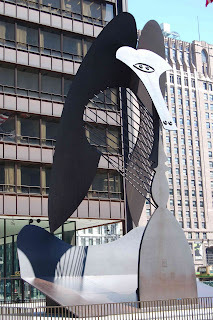 I extended my stay in Chicago by an extra day, on waking the sun was streaming in my hotel window and Frank Gearys sound pavilion sat in its lush green park, shining like a chrysalis that Picasso may have designed!! The opportunity to spend the day in 'sunny' Chicago was to good to turn down. 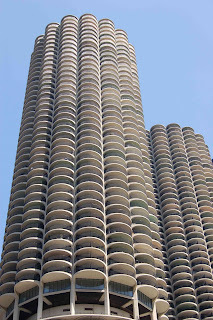 I set off early to try and get a seat on the Archicentre Architectural Boat Tour. It was the first weekend that were running them after the winter break so as I expected they were very heavily booked, plus a glitch in the booking system, so I missed out!! Another very good reason to return soon. So with a quick bite to eat under my belt I set off with camera poised to capture as much as I could before my late afternoon flight to Minneapolis. I had the pleasure of spending my day with Daniel Richards from The Plant Specialists, based in NY. It's amazing what 2 Landscape Architects can see and achieve in a day!! We spent the a day looking at the amazing Architecture of Frank Lloyd Wright. 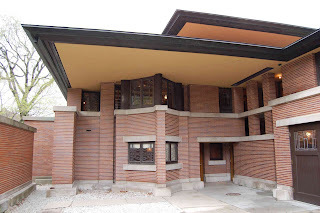 The Robie House, built in 1909 and a word famous example of Lloyd Wrights ‘Prairie ‘ Style House and his own house and studio that he built as a 22 year old architect, at that stage working for Louis Sullivan. In conjunction to 9 other private residence and a church all located within a 5 block radius from his house and studio. 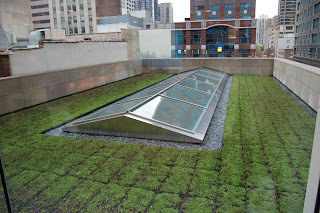 Finally, after 3 different attempts, I was given access to see the intensive sedum roof on the flag ship Apple Store on Michigan Ave, Chicago. The green roof was a pay back in response to removing 2 trees from the front of the site during construction and now offers all those that attend any education courses a great view out across the monoculture green roof and glass skylight. 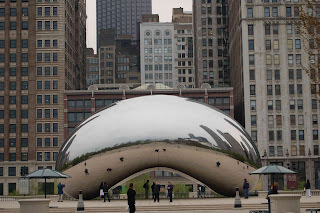 Another hour spent walking through Millennium Park in the late afternoon drizzle was fantastic. It changes the whole time depending on the weather and light. 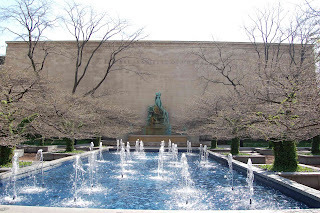 The gardens are strongly designed with strong visuals linking the city back to the gardens and the amazing Frank Geary Music stadium and the great lawn. 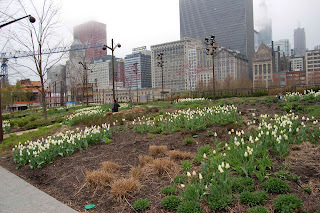 An enclosed perennial garden provides a very strong connection to the seasons with the plantings changing. 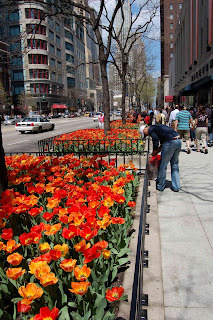 At present they are just emerging from winter with big sweeps of tulips and other bulbs, and a mix of grasses and perennials that are all budding up.